Dean Arruebarrena began his career with Leake & Andersson as a law clerk in 1995. Upon graduation from Loyola University Law School in 1996, he immediately began working as an associate and was named a partner of the firm in 2004. Throughout his career, Dean has maintained an active litigation practice in all Louisiana state and federal courts. Additionally, he has litigated cases in Mississippi under pro hac vice authority. 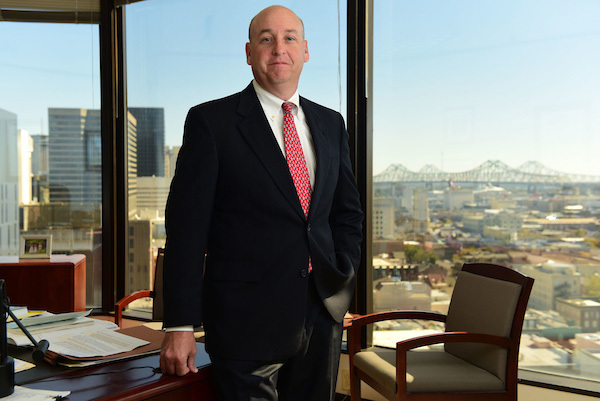 Since the first year of his practice, Dean has been admitted to all Louisiana state courts, the U.S. District Courts for the Eastern, Middle and Western Districts and the U.S. Fifth Circuit Court of Appeals. His practice areas are varied and include casualty, insurance, products liability, premises liability, trucking and worker’s compensation. Dean’s professional affiliations include the Louisiana Association of Defense Counsel, Defense Research Institute, New Orleans Bar Association and New Orleans Association of Defense Counsel. He serves as a steering committee member of the ALFA International Hospitality Practice Group. Dean also serves as the firm’s primary liaison with the New Orleans Pro Bono Project and regularly provides pro bono notary and legal consultation services through Project H.E.L.P. (Homeless Experience Legal Protection). Outside the office, Dean is the proud father of three children with his wife, MaryBeth.